The wonderful world of online dating. It’s an exciting place to be. But, if you aren’t careful, you can open yourself up to identity thieves, online scammers, dating site creepers, and much worse. Much as is the case with social media. It’s best to not post certain information on your online dating profile. Here are seven things you shouldn’t post on your online dating profile. You’ve got to have that rockin’ profile pic if you ever hope to land that special someone, but before you click the “upload” button, consider this: Your selfie might contain more than just a picture of you. In a part of the picture file, you can't see with your eye, there is likely hidden information, known as metadata. This data gets captured when you take a photo. One piece of metadata that you need to worry about is the photo’s geotag. A geotag is basically the GPS coordinates of where the picture was taken. When you snapped that pic, the geotag was most likely recorded to the file as well (depending on your location services settings). This data can be extracted by geotag reading apps and your precise location can then potentially be found. Most dating sites should, and probably do, strip this data from the pics you upload, but it’s best to remove the geotags yourself, prior to uploading your pic to a dating site. You can also turn this feature off on your phone so that tags never get recorded in the first place. While this seems like a no-brainer, many folks freely give out their phone number in their profile, however, sometimes these profiles are scam dating profiles intended to lure you off of the dating site and onto another site run by the scammers. Don’t list your phone number on your profile. It could also be indexed by search engines which could also put you in spammers crosshairs. You can also use a Google voice number as a privacy proxy. While you probably want to list the town you reside in, you probably don’t want to list your current location and you definitely don’t want to provide your actual address. 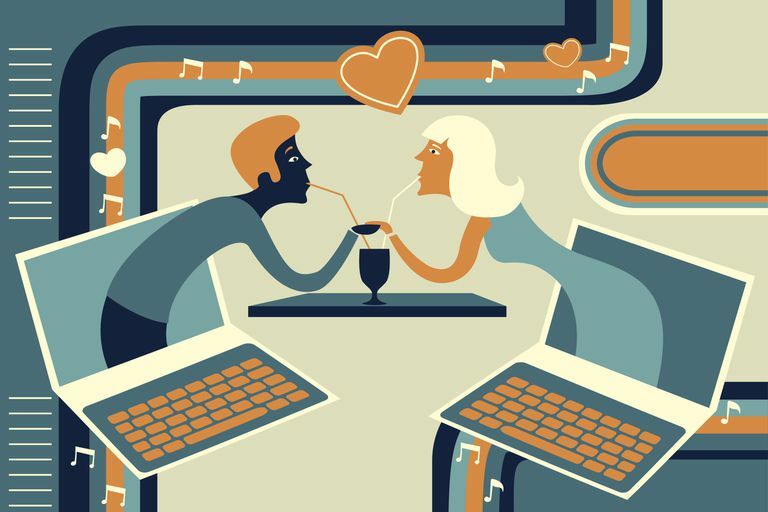 Many dating apps feature a location-based matching system that may show when a user is nearby. The problem with this feature is that it may also let the bad guys know when you are out of town. This information could then be used to let them know the best time to rob your empty house. Consider turning off your dating site's location-tracking feature for the reasons mentioned above. Creepers are gonna creep, and you help them do so by providing personal information such as where you work or have worked. They could use this information in any number of ways, whether it be to physically stalk you by hanging out where you work, or they might use it to find out more about you on social media or via search engines. Corporate espionage-types might use this information to target you for social engineering attacks or for competitive information gathering purposes. Showing pictures of your kids in your dating profile could put them at risk as it links them with you. Blur out there face, or crop them out of the picture entirely. You may want to show them off because you’re a proud parent but a dating site full of strangers is not the place to do this. Unless you want a bunch more SPAM in your inbox, don’t list your primary email address in your dating profile, if anything, use the dating site’s messaging or obtain a disposable email or secondary email address just for dating purposes. Again, creepers love, love, love, any information that they can use to learn more about you. Where you went (or currently go) to school helps them find your social media account, which can be their springboard to much more personal information about you (depending on your social media privacy settings).